The best Cuban art can stack up against the best contemporary art being created in New York, Los Angeles, Paris, London or other world art centers, while still maintaining an essential Cuban spirit. 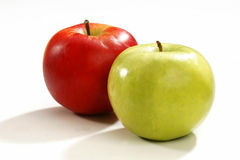 Here are the pictures to prove it. 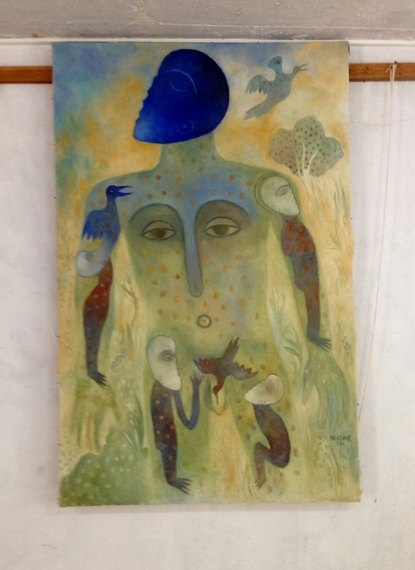 Working in painting, sculpture, installations, performance art and video, Mendive’s art often incorporates humans, animals and spirit-like figures. 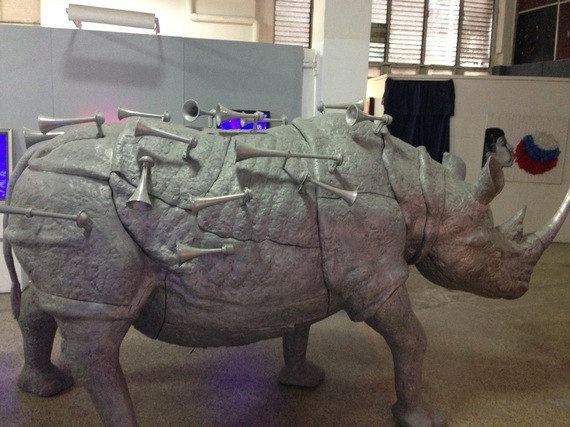 William Perez work often consists of monumental sculptures for public spaces, including this rhinoceros which he and Marlys plan to accompany to California this August for an exhibition at the Museum of Latin American Art. 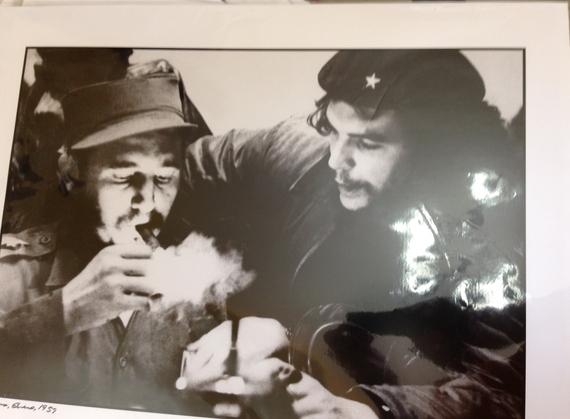 iconic black and white photographs introduced the world to Fidel Castro, Che Guevara and their fellow Cuban revolutionaries. Robert Diago is a younger world-class Afro-Cuban artist whom in his Havana. Earlier in his career, Diago juxtaposed images with graffiti-like words and his work drew comparisons to the likes of Basquiat. 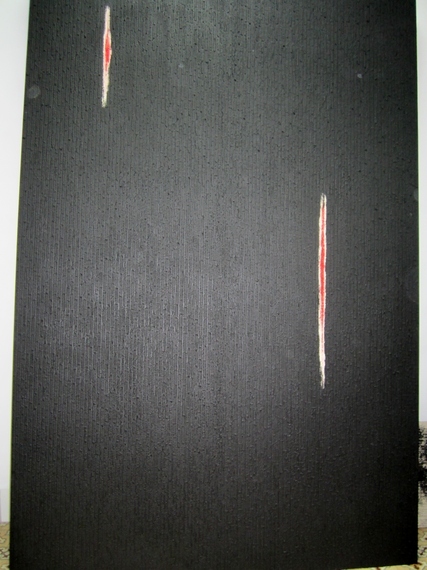 His most recent series of paintings is mostly in black & white with occasional splashes of red suggesting marks of whippings even in his abstract work, slavery and Diago’s Afro-Cuban roots is a theme to which he repeatedly returns, whether overtly or obliquely. 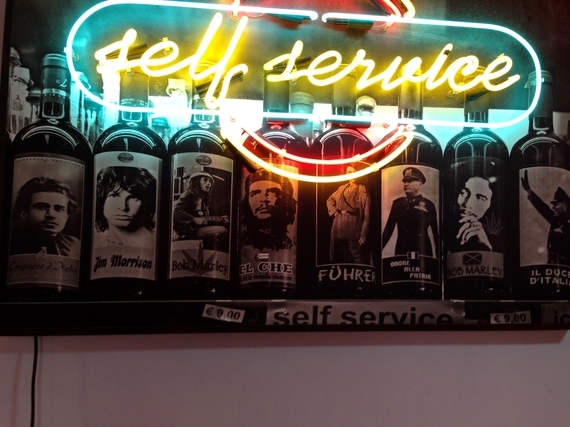 “branded” with labels of the likes of Jim Morrison, Bob Marley, Adolph Hitler, Benito Mussolini, Che Guevara and 1920s Italian revolutionary Antonio Gramsci, overlaid with a neon bar sign ironically reading “Self-Service”. 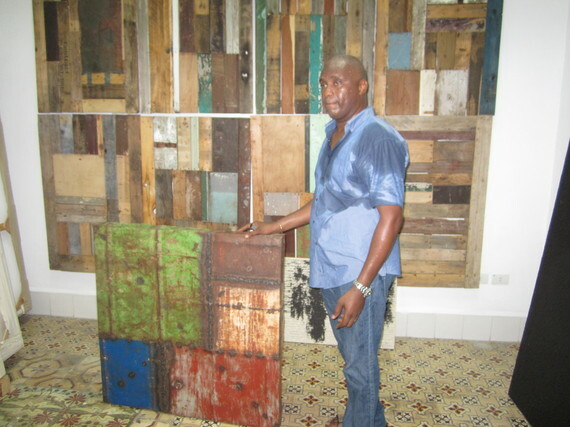 This entry was posted in History and tagged Cuban artists are creating some of the most exciting and innovative contemporary art in the world. Bookmark the permalink.